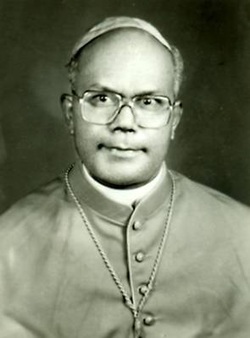 Punalur was separated from the Diocese of Quilon and created into a separate unit by the Bull "Verba Christ" of Pope John Paul II, issued on Dec. 21, 1985. 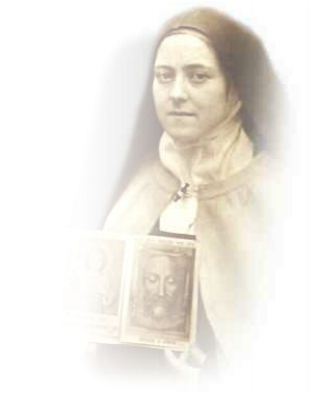 Belgian Carmelite Fathers were the First Fathers of Punalur and of places around Punalur. During the Second World War the First Fathers had to go back, entrusting the Church work to the Diocesan clergy. Punalur diocese is one of the suffragan dioceses under Trivandrum archdiocese. St. Mary's Cathedral complex is located on west bank hillock of Kallada River, North of Kollam-Shenkottai railway route, east of Paper Mill Road and near to Punalur railway Station at coordinates. Bishop Selvister Ponnumuthan was born on Aug. 10, 1956 as the fourth son of N. Ponnumuthan Nadar and Thankamma in Uchakada village in Thiruvananthapuram district of Kerala. After the completion of his schooling, he joined St. Vincent's Minor Seminary at Trivandrum and completed his college education in St Xavier's College, Thumb. He joined St. Joseph's Pontifical Seminary Carmelgiri in 1975. He was ordained a priest on Dec. 19, 1981 by Bishop Jacob Acharuparambil. He served four months as assistant parish priest before taking over the charge of prefect in St. Vincent minor seminary for eight years. Later he took his doctorate from Gregorian University Rome on spirituality of basic Christian communities. He joined Carmelgiri Seminary, Aluva as lecturer in 1996 and was appointed as vice rector of the seminary in 1998, elevating to post of Rector in 2008. He was ordained as the thirdBishop of Punalur diocese by Archbishop Maria Calist Soosapakiam on June 28, 2009. 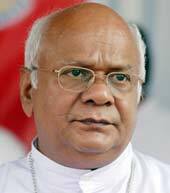 At present he holds the position of vice chairman of Lay Commission of Kerala Catholic Bishops' Council (KCBC). Bishop Ponnumuthan speaks Malayalam, English and Tamil. A. Catholic Population As of Dec. 31, 2009, Punalur diocese had 46, 815 baptized Catholics, representing 1.8 percent of all 2.8 million people in the territory. The diocese had 33 parishes and 68 mission stations. General Characteristics of the DioceseIn a land area of 5072 square kilometers, the diocesan territory covers the entire civil district of Pathanamthitta, taluks of Kottarakara and Kunnathur, Mavelikara, and several Pakuthies of the taluks of Karunagappally and Chengannur. Punalur diocese is located in the southern Kerala state's Malabar Coast area. It is is one of the oldest catholic centers, headquartered in Punalur town in Kollam district of Kerala, located on west bank hillock of Kallada River, north of Kollam-Shenkottai railway route, east of Paper Mill Road and near to Punalur railway Station at coordinates. The diocese is bound in the North by Alappuzha diocese, North East by the Pathanamthitta district, in the east by Thirunelveli district of Tamil Nadu, in the South by Thiruvananthapuram district and in the West by Kollam diocese. This is the first church in the centuries old history of this industrial town Punalur, on the banks of Kallada river. Catholics and Christian faithful working in Punalur at Paper Mills, Railway and Rubber Estates along with the farmers were the early community of the church. Schools, orphanage, mission centers and other institutions start building gradually to meet the growing demands of the community of vibrant ethnic culture. The diocese is dominated by dalit Christians. Malayalam, English and Tamil are in use in the diocesan territory. The diocese basically enjoys 4 types of climate such as Winter, Summer, South West Monsoon and North East Monsoon. The winter season sets in during the month of December and continues till end of February. Winter is followed by the summer season. Its starts in February and continues till May. During summer season many parts of the diocese will be affected by drought and shortage of drinking water. Especially hilly terrains of the diocese faces acute water shortage. Summer is followed by pre-monsoon rains. Occasional showers with lightning is a characteristic of this season. The South West Monsoon begins either in the end of May or in the beginning of June and fades out by September. Moving towards North, this seems to gain intensity. The North East Monsoon commences in October, dry weather setting in by the end of December. The annual range of temperature is comparatively low in Kerala.